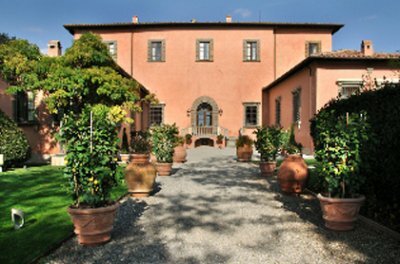 Villa Mangiacane is a magnificent 15th century villa built by the Machiavelli family, bearing the unmistakable hand of the Renaissance master, Michelangelo. 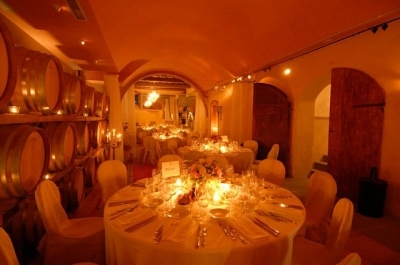 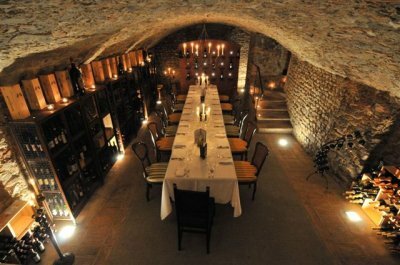 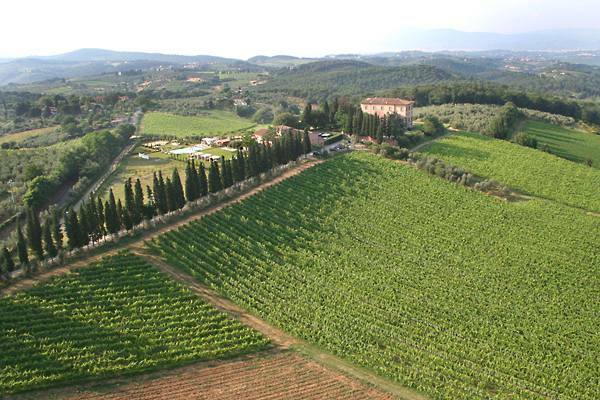 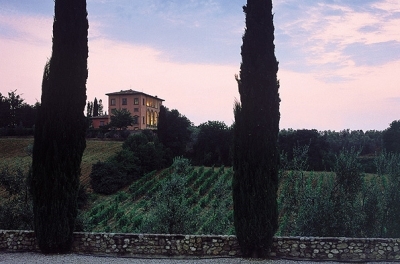 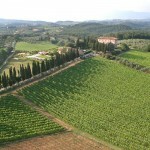 Located just 12km south of Florence, Mangiacane is set in the wine making region of Chianti Classico with 600 acres of flourishing vineyards and olive groves. 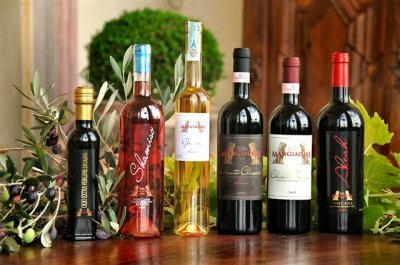 The private estate produces three award winning wines and a distinctive olive oil which you can taste and enjoy during your stay. 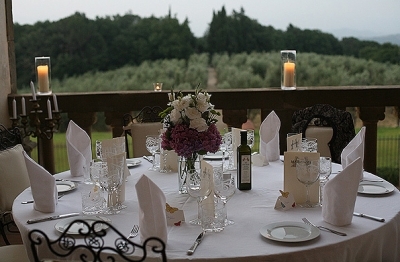 The classic beauty of Mangiacane combined with its history, art, and idyllic countryside setting create the perfect backdrop for a true Tuscan experience. 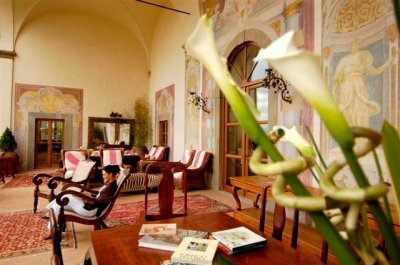 Luxurious facilities complement the private villa, two swimming pools, unique sculptures, gardens and breathtaking Tuscan views of the Duomo in Florence. 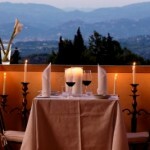 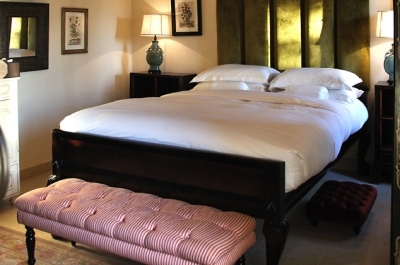 The 28 individually designed rooms and suites offer stunning views of the countryside, gardens or vineyards. 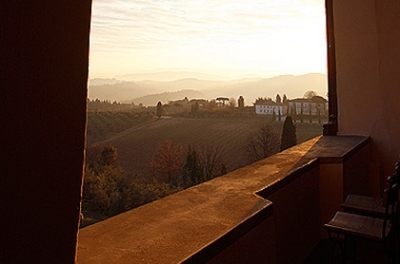 A stay in the main villa will surround you with original Renaissance art and terraces offering sweeping views of the Tuscan landscape while our exclusive vineyard villa features private plunge pools. 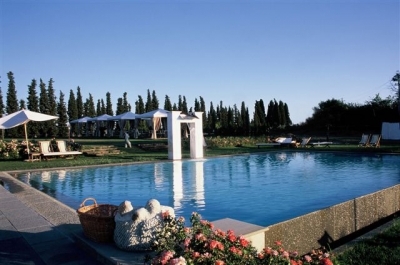 Mangiacane offers an array of dining options from the terrace of the private restaurant, a picnic in the vineyard or maybe dining at the poolside. 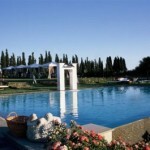 Three swimming pools, deep soaking tubs, and oversized showers are the norm while all accommodations provide luxurious bathrooms with amenities from Ferragamo. 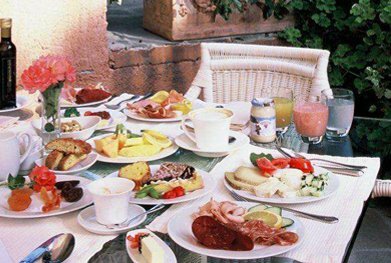 Food: Breakfast, lunch and dinner. 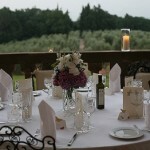 Picnics can also be organised. 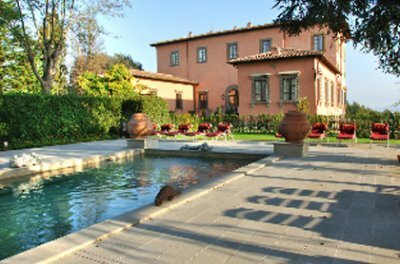 Extras: Two outdoor pools, indoor Spa, cooking classes, wine production/tasting, olive oil production/tasting, horseriding close by, bicycles, free daily shuttle bus between the hotel and Florence. 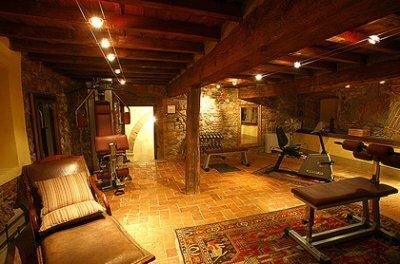 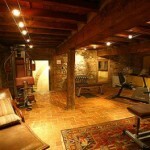 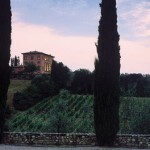 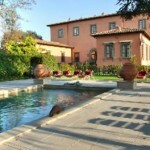 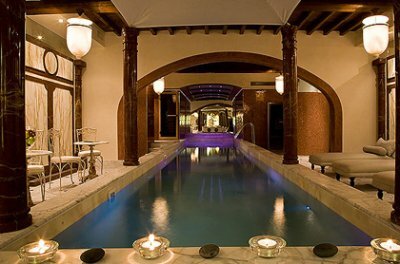 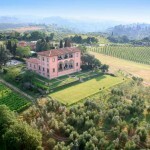 This fantastic rural Spa retreat is located just 30 minutes drive south of Florence. 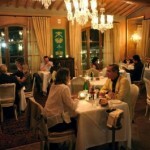 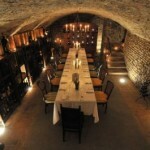 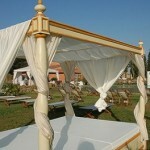 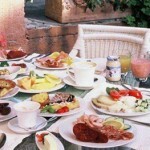 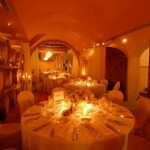 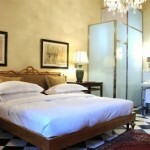 Prices are per room and night for two people including breakfast and government taxes (10% VAT). 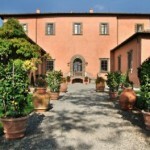 There is also a free daily shuttle bus between the hotel and Florence. 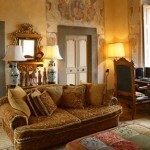 In true Mangiacane style, the Classic rooms are designed individually with unique furniture and artwork. 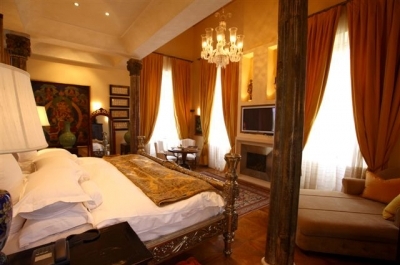 Located in the Mazzei Villa, these rooms equipped with queen sized beds and luxurious marble bathrooms. 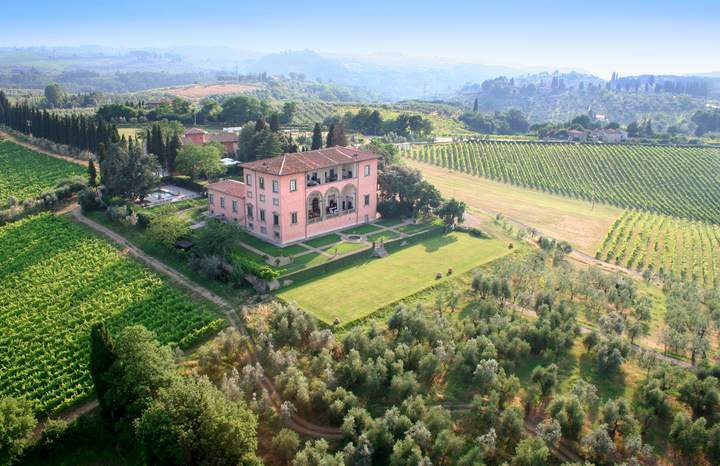 With easy access to the private gardens you will find yourself engulfed in the breathtaking views of Tuscany and Mangiacane’s hills. 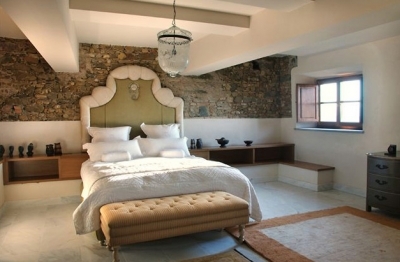 Villa Mangiacane’s Superior Rooms offer a unique charm with hand-picked furniture and designs in varying styles and feels. 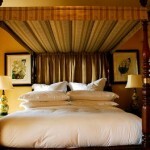 Luxurious queen sized beds, full marble bathrooms, and private gardens and plunge pools make these rooms one-of-a-kind. 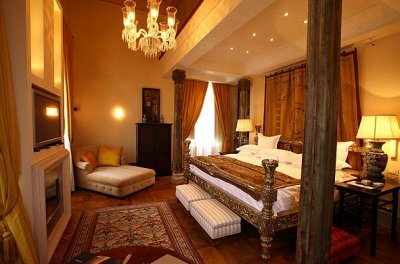 Villa Mangiacane’s deluxe rooms have been fully renovated and and individually designed by Ralph Krall’s signature eclectic style. 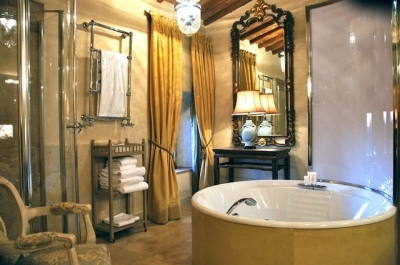 Along with sweeping views of the Tuscan countryside and Mangiacane’s vineyards and olive groves, our rooms offer queen size beds and luxurious marble bathrooms. 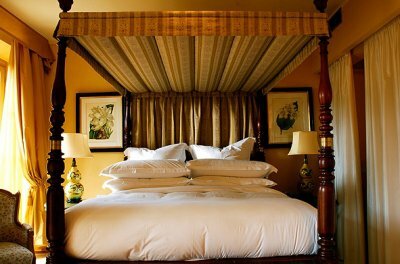 The deluxe rooms are a sweet and comfortable place to rest your head, enjoy the views of our vineyards and countryside, and relax into one-of-a-kind style. 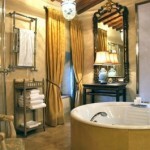 Deluxe rooms in the Mazzei Villa are outfitted with beautiful private gardens and plunge pools upon request. 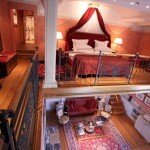 The Mazzei Villa is home to the newly designed Junior Suite. 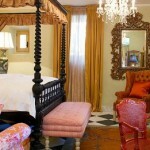 Fully decorated by Ralph Krall’s signature eclectic style, this suite has a design and feel that is all its own. 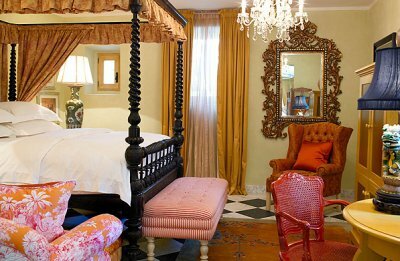 With an individually themed bedroom, boasting a king sized bed and spacious marble bathroom, the junior suite is a perfect place to stay for a romantic weekend getaway to a week long retreat of culture, food, and sweet pleasures. 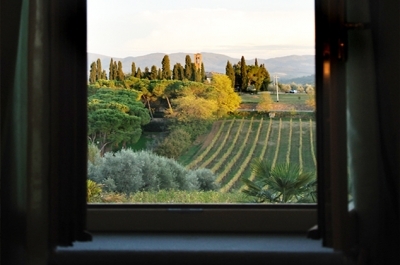 The suite also offers incredible views of Villa Mangiacane’s private vineyards and olive groves along with a private garden and plunge pool. 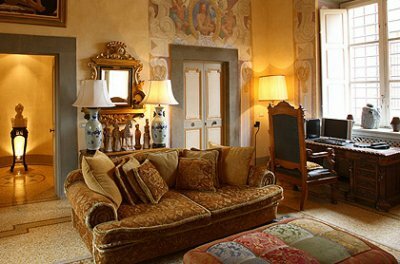 Offering the beauty and individual style found only at Villa Mangiacane, this opulent suite in Mangiacane’s main villa boasts a private terrace overlooking Florence and the Tuscan countryside. 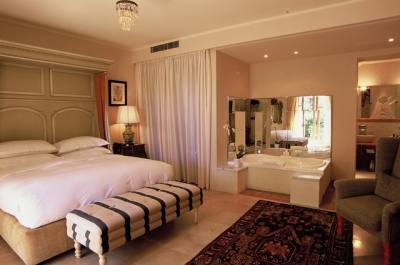 With a uniquely decorated bedroom, an expansive king-size bed, and crafted marble bathrooms, the Terrace Suite will meet all expectations of ideal accommodation. 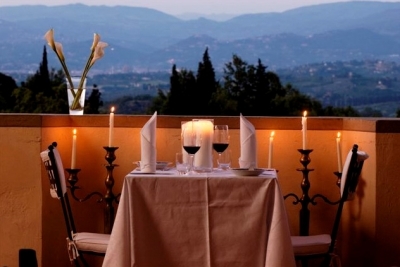 Along with a private living room our Terrace suite offers a private dining area both inside and outside on your secluded terrace, perfect for a romantic candlelit meal. 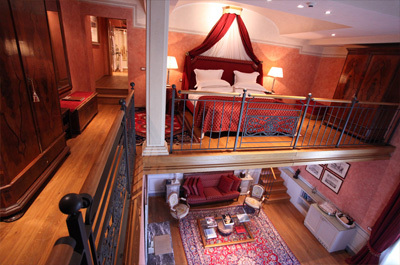 The Machiavelli Suite is located on the Machiavelli villa top floor of the royal wing. 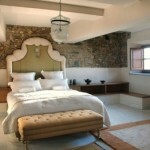 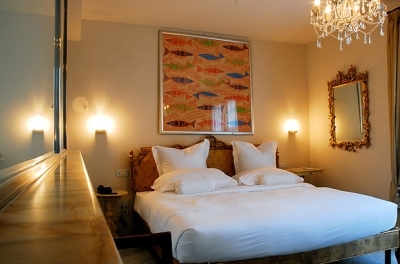 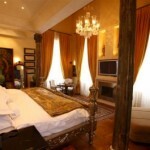 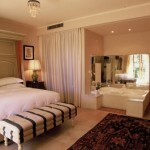 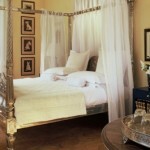 This opulent suite offers individually decorated style bedroom with king sized bed and modern bathrooms. 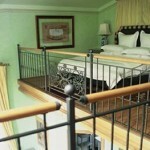 The suite offers a separate living area and private in room dining area. 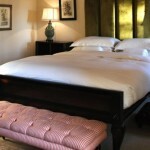 Bedroom Terrace Suite is the ideal accommodation. 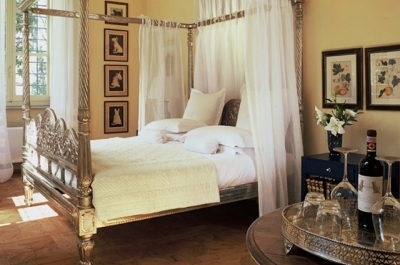 With two separate mezzanine style bedrooms, the suite offers two king sized beds and two private bathrooms furnished in marble to provide a comfortable and spacious retreat. 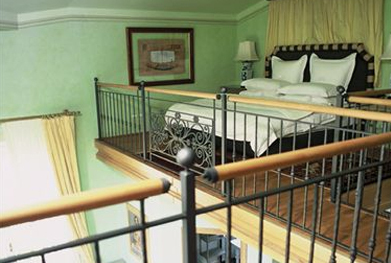 With a separate living and dining room you will have no trouble finding a quiet spot to relax in. 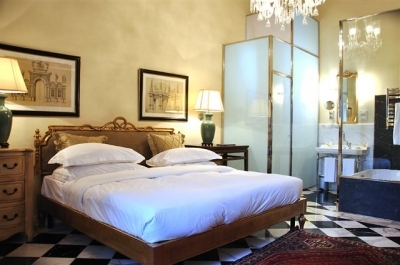 On your private connected terrace enjoy a spectacular Tuscan sunset or take in the breathtaking view of the city of Florence and the Duomo. 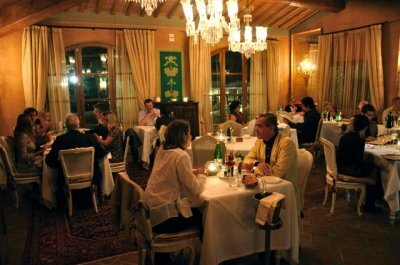 Should you have to cancel your booking with the hotel up to 8 days before your arrival date, the hotel will refund the entire deposit. 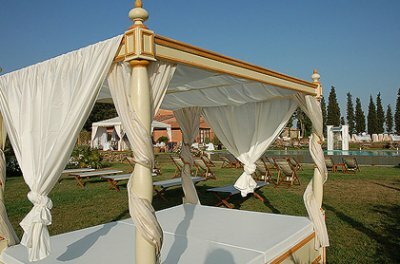 Should you have to cancel between 7 and 4 days before your arrival the hotel will charge 50% of the total stay (minimum 1 night deposit). 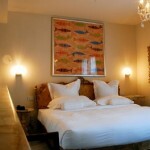 Should you have to cancel your reservation 3 days or less before your arrival date or for early departure the hotel will charge 100% of the total stay.